Pearl in 2014, thus far, has offered a preview of some of electronic dance music’s next big stars; previously it was OVERWERK on January 18, and on Friday Jan. 24, it was Toronto duo Dzeko and Torres joined by Henry Fong for the second-annual Winter Wonderland at Pearl in Waterloo. 2013 saw Dzeko and Torres, the alter egos of Julian Dzeko and Luis Torres, reach new heights as they had the opportunity to perform at, arguably, the world’s biggest electronic music festival, Tomorrowland located in Belgium. There they showcased to an international audience that they are a force to be reckoned with. Approximately six months later, the Canadian pair has managed to keep improving by releasing free downloads like the recent song “Galaxy (Save My Soul Mix),” as well as numerous edits and remixes while also keeping up with their personalized RAVE’N podcast. The sheer amount of diverse musical production that Dzeko and Torres have dedicated themselves to is a testament to their ambition to become a force in the electronic music industry. Such dedication was on full display in Waterloo as they gave the crowd a loud and emphatic performance. 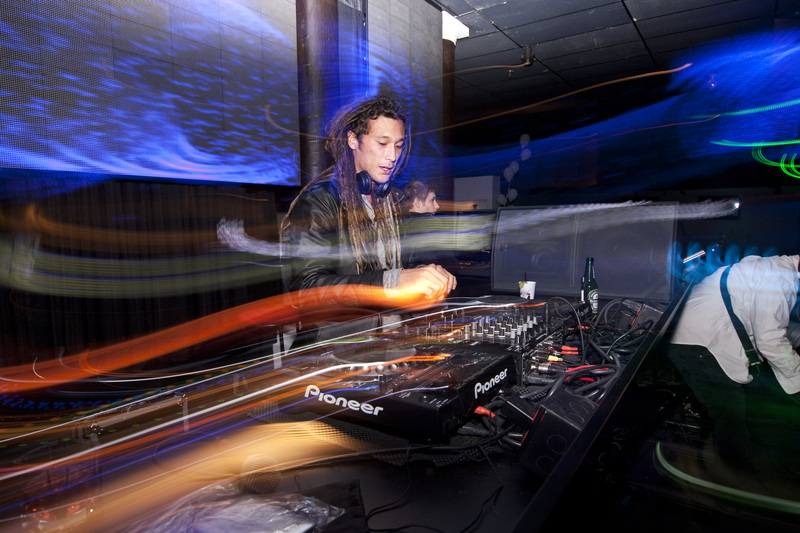 However, not to be outdone, was California-based DJ, Henry Fong, who also enjoyed an extremely successful year in 2013. In particular, Fong received support from notable labels such as Diplo’s Mad Decent and Hardwell’s Revealed Records. Henry Fong showed his immense appreciation for his continuously growing fan base by dropping a mixtape called 50K Bootleg Pack Mix featuring a diverse arrangement of mash-ups that epitomizes Fong’s upbeat electro and progressive style. Fong’s style is known for being able to energize an audience. To the delight the audience, he demonstrated his skillset by playing songs like his newly released collaboration with fellow rising star MAKJ, “Encore.” In addition, he played fan favourite “When I say Whoomp (Henry Fong Mashup), ” which fuses Tag Team’s hip-hop classic with Jacob Plant’s bass-fueled drops. It was a great introduction for Dzeko and Torres to close out the night with an exciting show. Over the course of the evening it was evident that the crowd was anxiously awaiting what Dzeko and Torres had in store and upon arriving on stage, the two Torontonians were met with loud cheers. The two DJs played a series of familiar house bangers while also combining their own sounds into the mix, such as their remixes of Capital Cities’ “Safe & Sound” as well as Twenty One Pilots’ “Guns For Hands.” These remixes were just two of several significant moments from a night that was filled with glimpses of what the future of electronic dance music holds, and judging from Dzeko and Torres’ set time, which went well past closing, they’re not close to being finished quite yet.